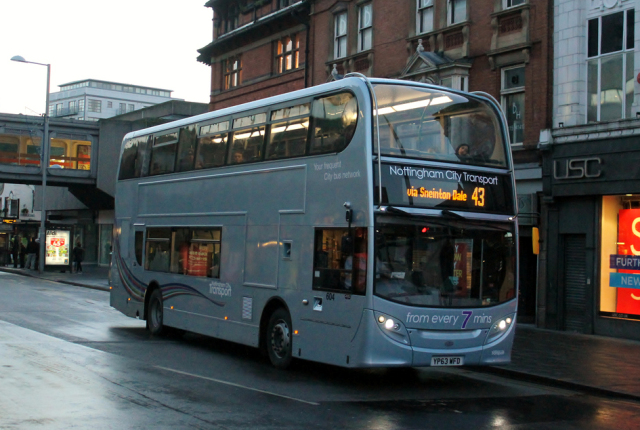 The city’s award-winning principal bus operator, Nottingham City Transport (NTC), is working in partnership with Nottingham City Council to launch a project which could see Nottingham become the UK’s ‘greenest’ city for public transport. NTC has applied for a £6.5m grant from the OLEV Low Emission Bus Scheme to complement a £19m investment in order to introduce 82 natural gas double deckers to the fleet over 3 years from October 2016. “The new gas buses are likely to be the very first gas double deckers in the UK, which is hugely exciting,” added Carver-Smith. “They’ll be ADL Scania buses, so they’ll be of the highest quality and using gas buses will enable our customers to reach the heart of the City on one of the cleanest modes of transport available”.